Today, U.S. Citizenship and Immigration Services (USCIS) announced the renewal process for hundreds of thousands of young noncitizens who received a grant of Deferred Action for Childhood Arrivals (DACA). Renewal of DACA ensures current DACA holders will continue to be safe from deportation for another two year period. In addition, they will continue to have work authorization and to be eligible to receive a social security number, and, in nearly every state, a driver’s license. The renewal announcement comes not a moment too soon. Because DACA recipients are encouraged to request renewal between four to five months ahead of their expiration date to avoid a lapse, the earliest major wave of DACA recipients – who received their DACA grants in September and October of 2012 – will need to act right away. Although DACA recipients who seek to renew must complete multiple applications and submit to a background check, most will be pleased to discover that the renewal process is relatively straightforward and that most DACA recipients should qualify for renewal. USCIS has made clear that individuals who initially qualified for DACA will be eligible to renew unless they engaged in certain criminal activity, departed the country without the government’s permission, or stopped residing in the United States. No one with DACA will be too old to renew – indeed, as previously explained, it is impossible to age-out of the DACA program. Moreover, individuals enrolled in school at the time of their initial application will not be disqualified if they had to stop attending to see to other life responsibilities. To request renewal, DACA recipients will have to file an updated and slightly shorter version of the DACA application as well as two applications related to work authorization, pay a filing fee of $465 (unless exempt), and submit to a background check. Despite the paperwork, DACA recipients will find the renewal process easier than the initial application process when it comes to supporting evidence. Where initial requestors were required to produce a substantial amount of evidence demonstrating, among other things, their residence in the United States since June of 2007, many renewal requestors will not need to include any supporting documentation at all. 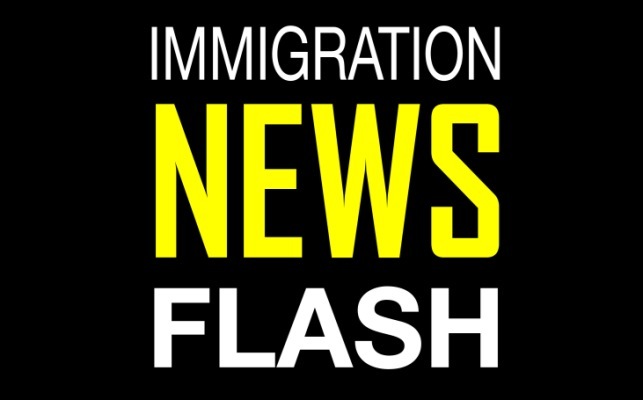 Only those renewal requestors who received DACA from Immigration and Customs Enforcement (ICE), rather than USCIS, and those with new documents involving removal proceedings or criminal history that were not previously submitted, will be required to submit evidence along with their application. Timing will be key for renewal requestors who don’t want their DACA to lapse. A lapse in DACA could result in a loss of work authorization and a driver’s license. To avoid these and other severe consequences, DACA recipients are encouraged to apply for renewal roughly four months before their expiration dates. This should give USCIS ample time to adjudicate the renewal request. And, according to USCIS, those who responsibly file far enough in advance of their expiration date may be given an automatic extension in the event of a processing delay. Despite the excitement around renewal, the 1.15 million potential DACA applicants who have not yet filed an initial application should not mistakenly conclude that the application period has ended. Indeed, the agency continues to accept roughly 10,000 new applications each month. Moreover, neither the administration nor USCIS has ever indicated that DACA would sunset, though some members of Congress have attempted to defund the program. Initial registration remains open.